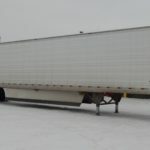 Your Source For Flatdeck Trailers Across Western Canada - Kingpin Trailers LTD. Kingpin Trailers is Western Canada’s leading source for the highest quality trailer and hauling solutions. With a diverse inventory spanning locations in Edmonton, Calgary, Vancouver and Winnipeg, Kingpin makes it easy to expand your fleet with the best equipment available. Learn more about a few of our spotlight products and current inventory below. Strong, reliable, and built to guarantee easy transport, flat deck trailers are one of the most popular items on the market. 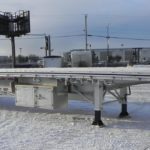 If you are in the construction, agriculture, oil & gas, or heavy equipment industries and depend on hauling solutions to help bring your resources to site, the low profile of flat deck trailers makes them an ideal option for difficult to access areas. Easily loadable, and lightweight, flat deck trailers make transport simple and efficient. With plenty of versatile applications, it’s no surprise that flatbeds remain a leading choice for today’s hauling needs. Kingpin’s new and used trailer inventory includes leading manufacturers like Mac, Hyundai, and Trail King, giving customers access to products they can rely on. Our multiple locations throughout Western Canada ensure that repair and service are hassle-free, and ensure any warranty needs can be quickly taken care of. 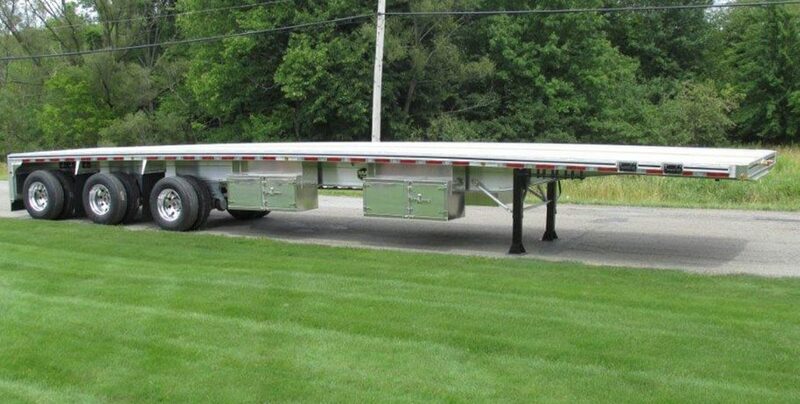 Learn more about our current selection of flatbed trailers below. This brand new tandem axle trailer boasts a sleek, sturdy, aluminium design that is capable of withstanding the demands of heavy loads over long distances. Certified RTAC legal, the 48’ deck features two rear steps for easy access and five lights on each side for safety. The trailer also features aluminium landing gear with a 10-year warranty, aluminium air tanks, dust covers, two tool boxes and a dump box. Add this Mac staple to your fleet for a competitive price today by contacting our team now! This new trailer is perfect for a wide variety of versatile uses across multiple industries. Built to embody Mac’s standard of excellence, the flatbed features a hot-dipped galvanized aluminium frame, dunnage rack, two tool boxes, rear steps, dump box with load gauge and more. Learn more about the 53’ flat deck by contacting our team today. Kingpin has a regular rotation of used trailers available. For the most up to date stock, contact our team directly to inquire about inventory.